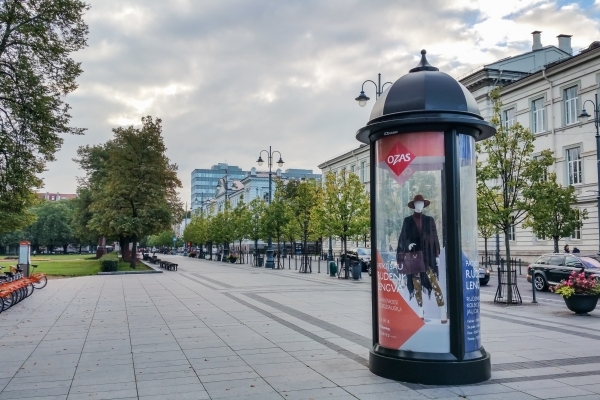 Located in Top 3 largest cities, Columns offer 3 elements to any campaign: Style, Exclusivity and Dominance - often being the only format available in most sought-after areas. Backlit structures of classical form will give a touch of class to any advertising campaign. Fashion and luxury brands love columns and there is a reason for it. According to numerous research cases, fashionistas tend to notice advertising on Columns particularly well. Presence of light and double-sided printing will ensure that your visual will be particularly attractive and bright. 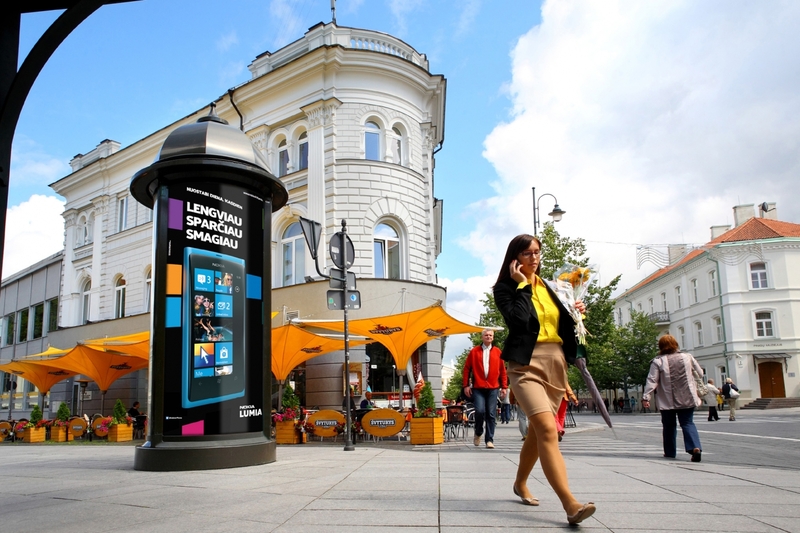 Columns are often the only format present in certain areas of Lithuanian cities. 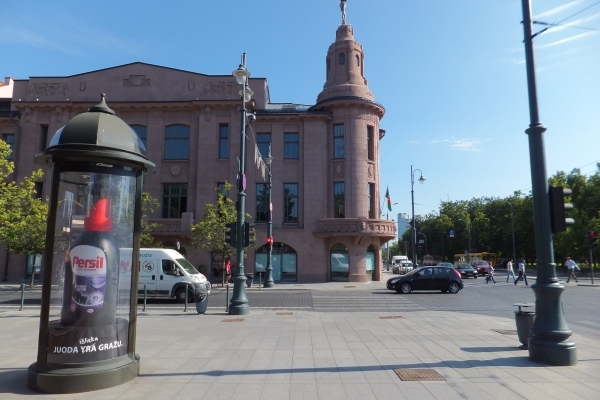 Due to their form, Columns are allowed to be built in locations such as central streets, main squares or other areas of architectural importance, where other forms of outdoor advertising are not permitted. 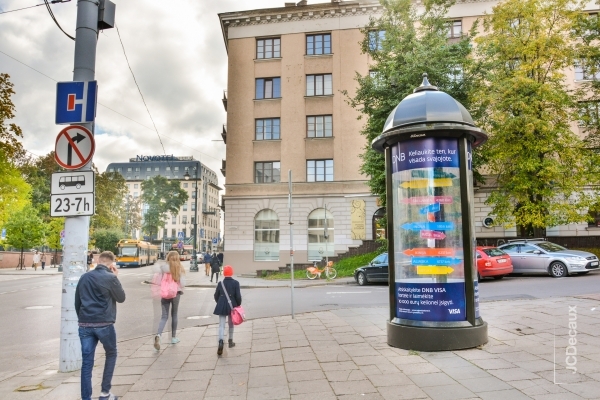 Standing high above the city`s bustle, Columns are perfectly visible for both drivers and pedestrians and could truly be called a hybrid format, suitable for both image advertising aimed at Class and campaigns aiming at Reach and Frequency, such as product launches or sales promotion.